More than 200 participants attended Leading Beyond the Walls held Oct. 26-27 at the Alexander Fulton Hotel in Alexandria, left. 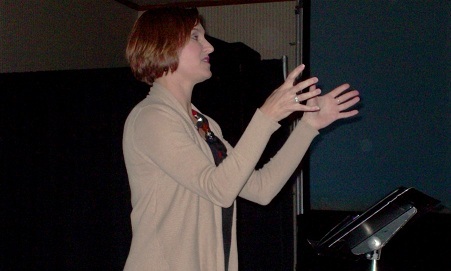 Teams from local churches considered alternate ways of doing church in order to reach those who are unchurched in their communities. The two-day leadership event was led by Carol Cartmill and Lori Trupp, both staff members of the 8,000 member United Methodist Church of the Resurrection in Leawood, Kansas.